Perfectionism is a bit of a silent epidemic. It sounds like a good thing to be a perfectionist, right? Wrong. It's just a fancy word for "person who is afraid to mess up". So afraid, that they will wait until the last minute to send that email, start that project, or maybe not even do it at all. You can't fail if you don't try, right? The costs of being a perfectionism are wasting time, energy and money on insignificant details, missing opportunities, and flat out not doing things to grow and stretch yourself. Which could lead to a boring life. The payoff is minimal. This workshop is designed to help you break free from your perfectionistic tendencies. This mixed media, intuitive painting and life coaching workshop will guide you through a process of self-discovery and creativity that will encourage you to break free from perfectionism and paint from your soul. Life Coach, Jessica Watson, and Artist, Tannis Ross, team up to help you break free from the perfectionism that may be holding you back in your everyday life. You will be challenged and encouraged to explore your own creativity while noticing your inner critic and what it feels like to rebel against your perfectionistic tendencies. 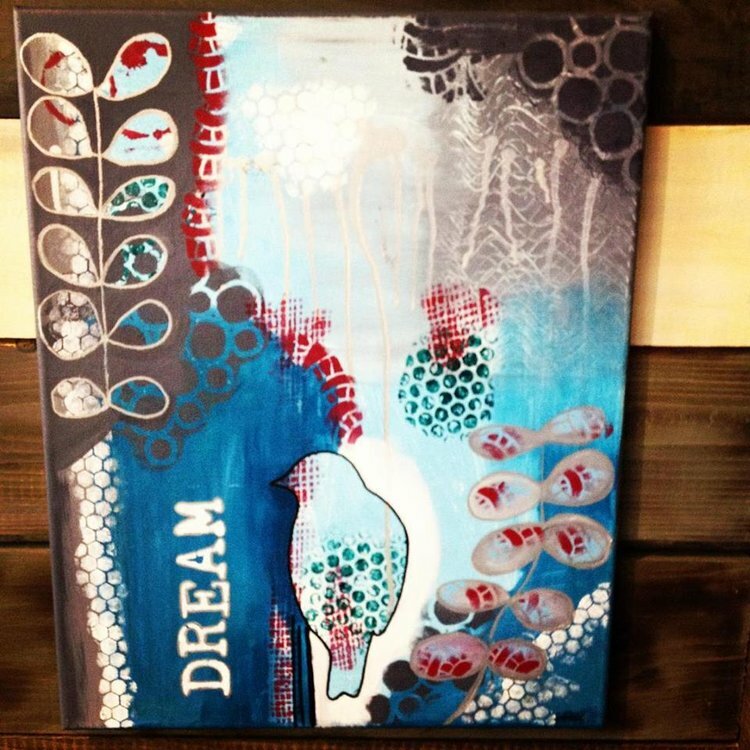 Your hands will get dirty working with paint, ink, stencils, paint pens and other mediums to complete your very own mixed media painting. This 5-hour workshop includes light snacks, coffee, and tea. There will be a break for lunch - pack your own or visit one of the local eateries in the exchange. All art supplies included in the workshop. Suggested age is 16 and up.